Friday December’s 18th. Patision street becomes the heart of the Athenian nightlife. 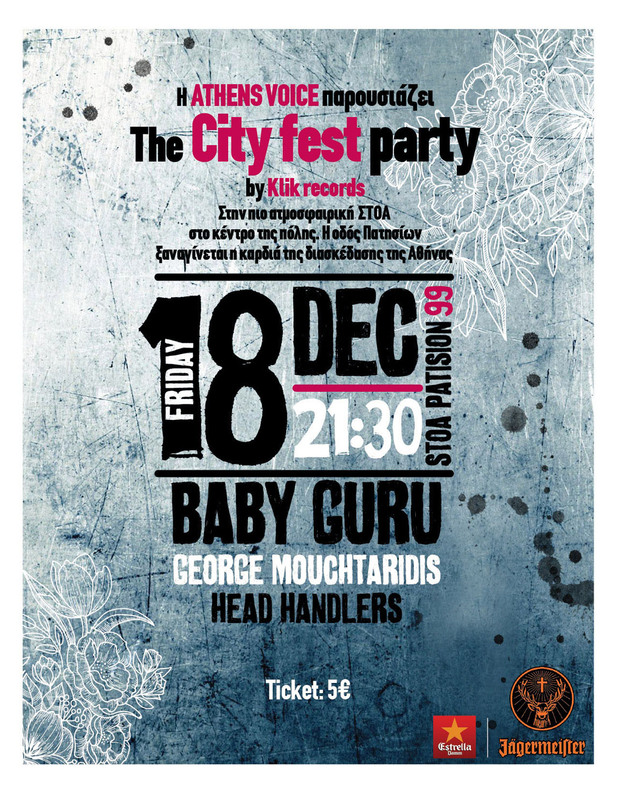 Athens Voice together with Klik Records present “The City Fest”. A pre Christmas festival in one of the city’s most beautiful lodges, Stoa Patision 99. Baby Guru live, presenting their brand new “Sunshine Special” album. George Mouchtaridis filling the space with tunes we loved through Pepper radio 96.6. Last but not least, Head Handlers dancing you off with the most sensual future boogie you ‘ve ever listened to. Dare to try?